Data protection solutions are essential for businesses of all sizes to implement, regardless of size, industry and geographic location. And while many businesses have protection for their “data”, they actually have no way of getting their business operations back up and running again in an acceptable amount of time specific to their individual business. Data protection, What’s at stake? Data Backups vs. Business Continuity. What to look for in a business continuity solution. Downtime is real and it’s costly. How costly exactly? Depending on the size of the organization, the cost per hour of downtime is anywhere from $9,000-$700,000. 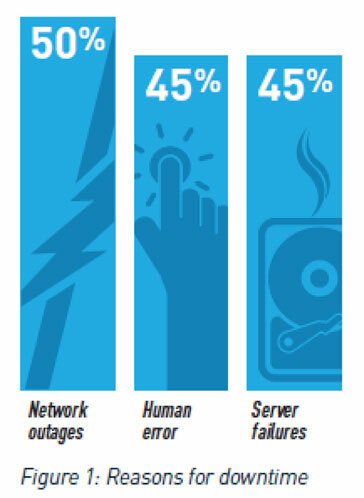 On average, a business will lose around $164,000 per hour of downtime. The numbers speak for themselves. 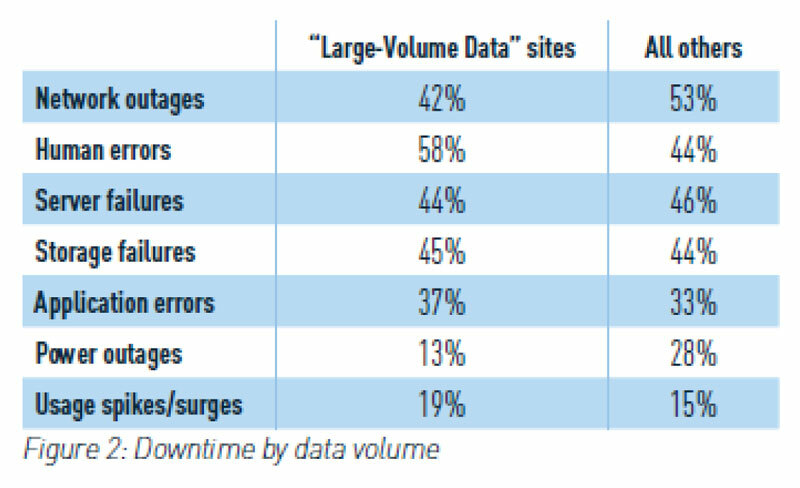 When you look at the cause of downtime by data volume, the #1 culprit is, once again, human error, at 58%. 2 (See Figure 2.) As it turns out, businesses should be more wary of their own employees and less of natural disasters. If you’ve been putting off data protection because your organization is located far from any inclement weather, be warned: the bigger threat to your data is inside of your company, not the great outdoors. In this white paper, we’ll discuss the importance of business continuity rather than simple data backups. We’ll also explain how to quickly evaluate your internal recovery process and downtime costs to ensure you find the best solution for your needs. Just click the following download link and get our white paper.